Olive’s Larder have launched a NEW and healthy bake at home kit and gift jar selection! Perfect for all dog lovers out there who want their little pooches to have nothing but the best! 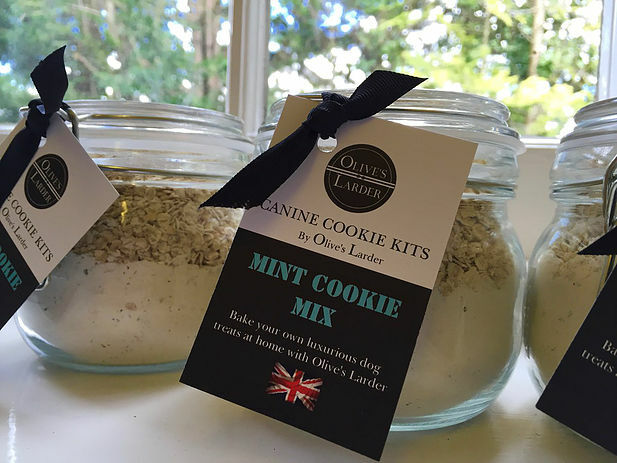 Made with 100% natural ingredients and promoting good health for dogs Olive’s Larder baking kits make it easy for you busy pawents out there to give a homebaked treat where all the hard work has been done for you! With just an egg and your love to add you can bake perfect healthy treats every time. Packed with delicious flavours the mint cookie kit promotes fresh breath and can be soothing too. Mint is naturally very soothing for digestive problems in dogs and historically, this aromatic herb has been used to reduce gas, nausea, motion sickness, and stomach aches as well as naturally freshening breath. 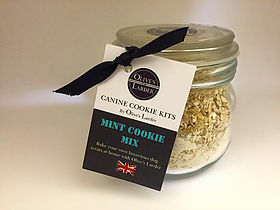 The Olive’s Larder Carob Canine Cookie Kit available as a gift jar £9.95 or as a baking kit £4.99 is also packed full of delicious flavours and real health benefits! Carob is naturally sweet, low fat & protein packed. With a naturally sweet and pleasant flavor, carob is packed with nutrients. It is rich in vitamins A, B, B1, B2, B3, B6 and D, calcium, iron, magnesium, potassium, manganese and protein. Carob is also rich in fiber and pectin, which helps eliminate toxins from the body. This super food improves digestion, lowers cholesterol, and can be used to treat diarrhea. The vitamin E content in carob helps to treat coughs, flu, and anemia. It can even be used to fight against osteoporosis because of it allows better absorption of calcium. 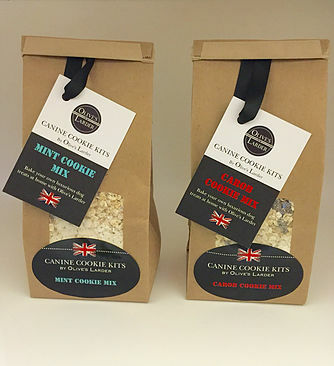 These delicious treat kits are packed with this low fat wonderful superfood carob and soothing breath freshening mint – flavours that that your four legged friend will just love and enjoy and even more so because it was baked by you! This entry was posted in Dog Foods and tagged dog, dog food, dog treats by admin. Bookmark the permalink.